Our story begins in 1962. That's when the old stone farmhouse located on the corner of Washington Avenue and Sycamore Street, and known as the headquarters of George Washington after his decisive victory at the battle of Trenton, was demolished to build a gas station... yes, a gas station. 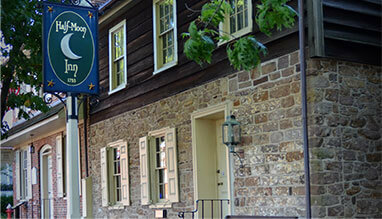 Incorporated in 1964, the NHA is dedicated to the preservation and celebration of Newtown's historical heritage. 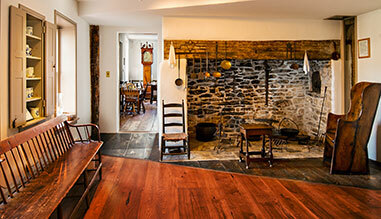 Explore our 18th century inn, learn about Newtown's history and join us in preserving and celebrating our community. 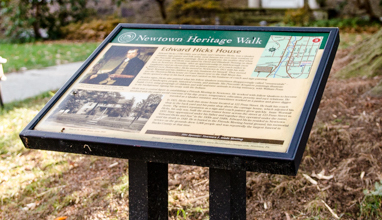 Take a self-guided tour through the history of Newtown. 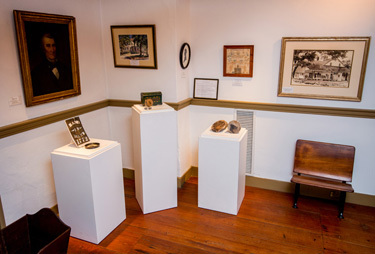 34 wayside markers feature sites from the 18th, 19th and 20th centuries.